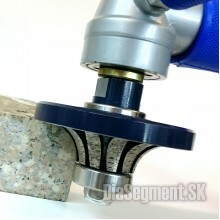 CNC tool designed for cutting of natural and artificial stoneTool diameter: 20 mmThread M12 (tool-ca..
CNC tool for precise finishing works for 3D projects and sculpture worksTool diameter: 6, 8, 15 mmMo..
CNC tool for natural and technical stone processing. 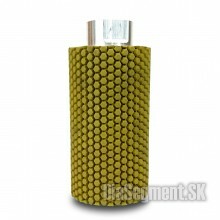 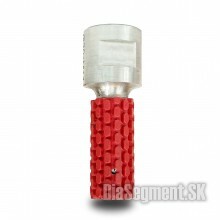 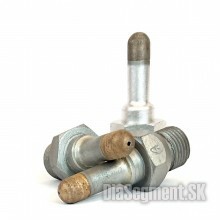 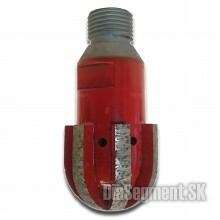 It is designed for the rough side removal of th.. 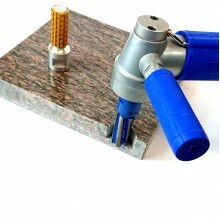 The basic tool for CNC processing of natural and technical stone. 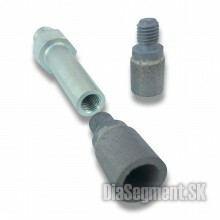 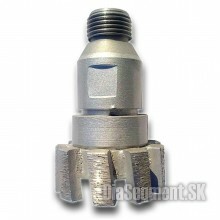 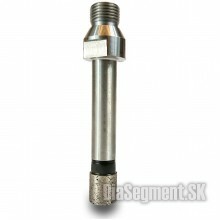 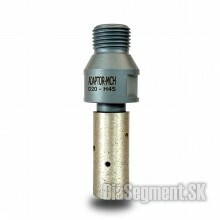 It is intended for lateral removal..
CNC tool designed for cutting of natural and artificial stoneTool diameter: 20 mmTool height: 20 mmT.. 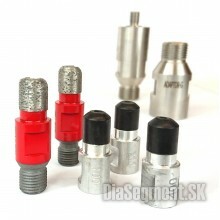 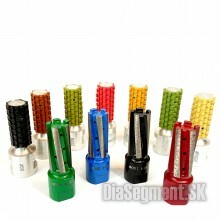 Inch CNC tools from Korean production. 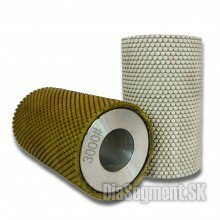 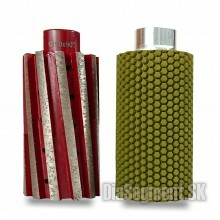 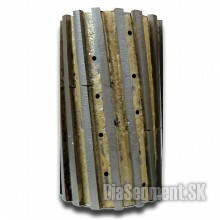 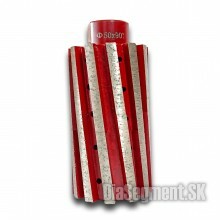 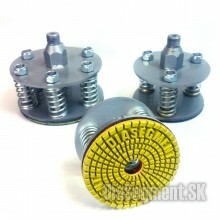 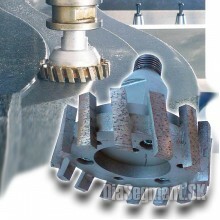 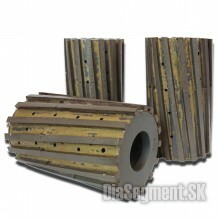 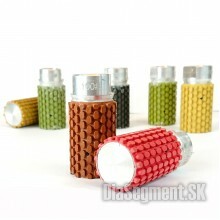 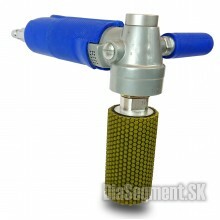 The set is designed for reaming and polishing the groove into..
CNC tool for natural and technical stone processing. 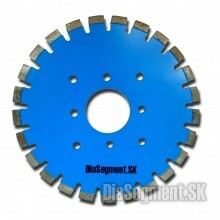 It is designed for shaping rounded grooves, gro..
CNC tool for the production of drainage surfaces of kitchen worktops with 60 ° angle to the edge.Sel..
CNC tool rough working or formatting of natural stone.Choose from the menu or are interested in the ..
CNC tool rough working of natural and technical stone. 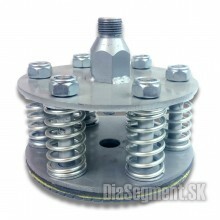 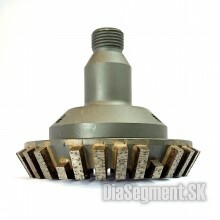 The bottom, transversely mounted diamond is d..
CNC tool for the production of drain U-grooves for kitchen worktops.Tool diameter: 12 mmMounting: G1..
Formatting disk with a segment width of 1 cm. 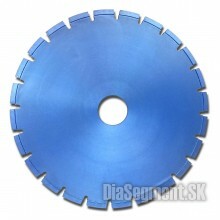 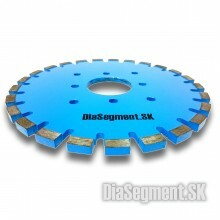 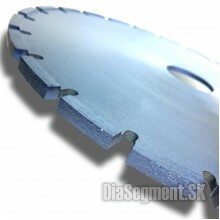 Diameter 300 mm, center hole 60 mm, 4 holes for Montre..
Milling disk with diamond-shaped "U" shape. 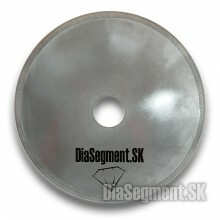 It serves as the first step - shaping the groove.- Built..
Polishing disk with U-shaped diamond resin segment. 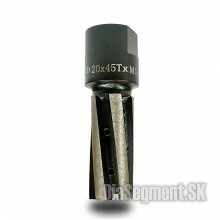 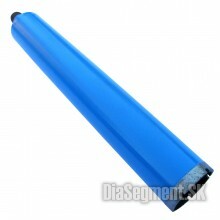 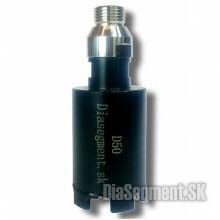 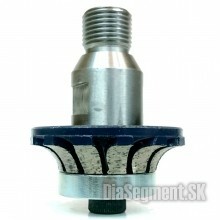 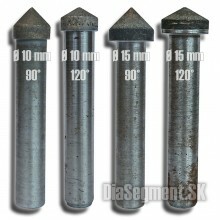 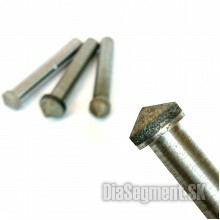 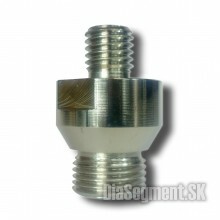 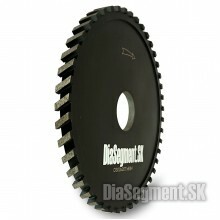 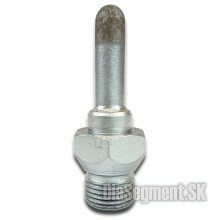 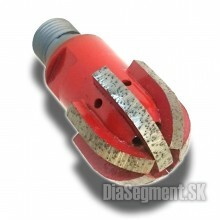 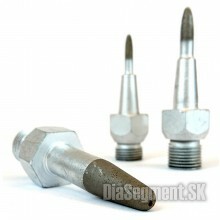 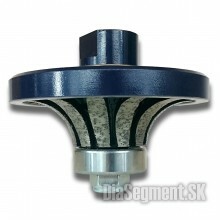 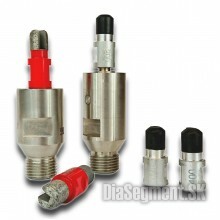 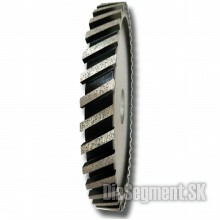 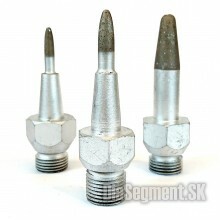 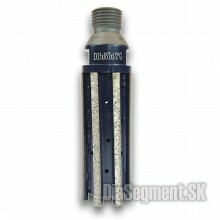 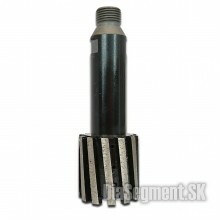 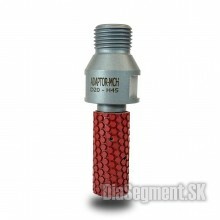 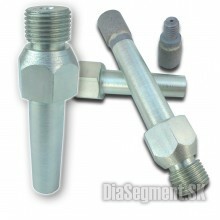 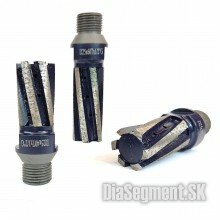 It is used to polish the U - groove formed by th..
Formatting disk with a segment width of 1 cm. 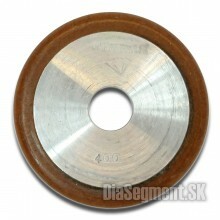 Diameter 400 mm, center hole 60 mm. 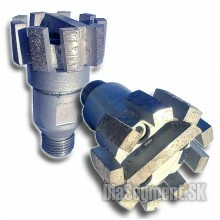 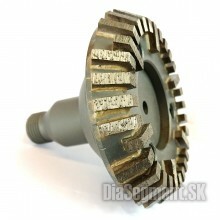 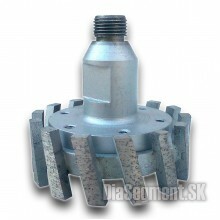 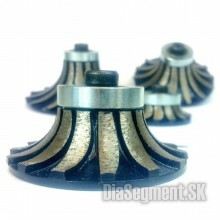 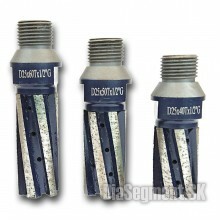 For bridge saws an..
Quarter arched diamond milling cutters for master and CNC machines.Model B - "quarter-arc"B10 - radi..
Formatting disk with a segment width of 2 cm. 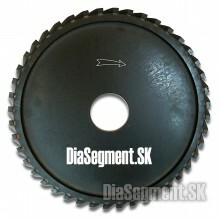 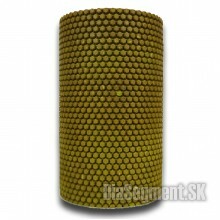 Diameter 300 mm, center hole 60 mm. 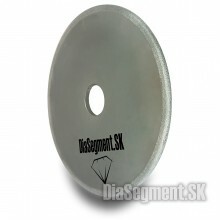 Tool built for lar..
Formatting disk with a segment width of 3 cm. Diameter 300 mm, center hole 60 mm. 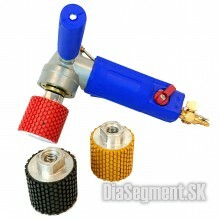 Tool built for lar.. 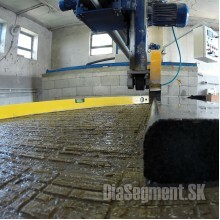 Forming disk for the production of radii and quarter-arches on the edges of stone slabs. 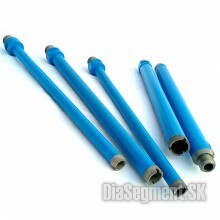 Suitable fo.. 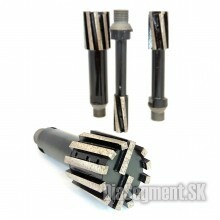 Drill bits for hard work in stone, concrete / rebarWorking depth: 300 mmMachine: core drilling machi..
Usage: Granite, Marble, Technical Stone, Glass, and the like.Grit: 50/60Recommended speed: 15000-180..
Four-hole diamond cutter for hand-held machines. 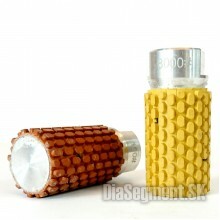 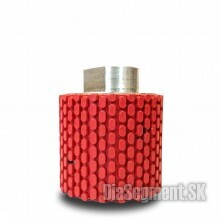 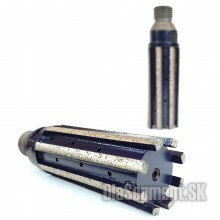 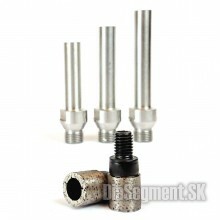 The bottom and top bearings ensure precise machinin.. 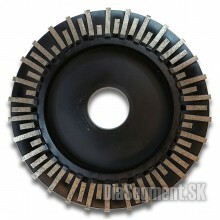 Sprung Flexible Polishing Bearing Carrier with CNC Machine Gear (G1 / 2 ")Choose from an offer of di..